South Indian traditions and cultures practiced and followed by the native Dravidians still continue to develop a variety of culinary traditions since thousands of years ago. South Indian cuisine apparently has been known for using distinct blending of spices that tastes quite hot like the climate over here. This is the secret behind the distinct taste of the South Indian cuisine that interests most of the tourists. South Indian Cuisine is a term used to refer to the cuisines found in the four southern states of India: Andhra Pradesh, Karnataka, Kerala and Tamil Nadu. The similarities in the four states’ cuisines are the presence of rice as a staple food, the use of lentils and spices, the use of dried red chilies and fresh green chilies, coconut and native fruits and vegetables like tamarind, plantain, snake gourd, garlic, ginger, etc. Overall all the four cuisines have much in common and differ mostly in the spiciness of the food. The hot climate in South India helps to prepare hot and spicy food which is the most popular part of the South Indian cuisine. Rice is used as the main meal accompanied by dal (lentil soups) that is prepared in a variety of ways. Pulses also make a good dish to accompany rice. Lunch from Karnataka served on a plantain leaf. Different kinds of tasty rice dishes are prepared by the South Indians that are simply outstanding. The people of South India have a unique way of preparing dishes. Most of the dishes have coconut milk as the main ingredient. Moreover, they also have a unique traditional style of serving the food on fresh green banana leaves especially during traditional occasions. There are several other flavors used for preparing the South Indian cuisine. Different areas of South India prepare special dishes. 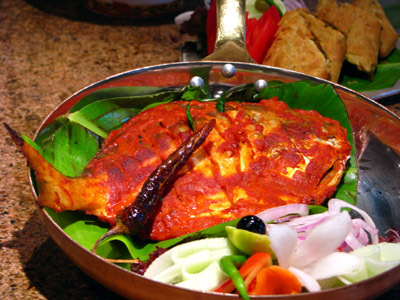 The coastal areas prepare delicious fish and prawns dishes that have become the main part of the diet especially for the southern state of Andhra Pradesh. Seasoning the dishes with coconut oil or sesame oil, mustard, coriander, black pepper, ground hot pepper, cumin, garam masala (spices), turmeric is a unique way of preparing the South Indian cuisine. Garam masala is a mixture of different spices that is used in most of the vegetarian and non vegetarian dishes in South India. However, the mixture of these spices varies based on the region and even with different families. Garam masala made in South India mainly include spices like cinnamon, cloves, cardamom, black pepper, cumin, fenugreek, fennel, coriander, and turmeric. Most of the South Indian dishes include chili and pepper for creating a hot and spicy flavor. Different cultures in South India follow different methods of preparing their dishes. In Hyderabad, Muslim culinary has been influenced and biryani has become a popular and luxurious rice dish of this place. Tamil Nadu is popular for its wide variety of vegetarian cuisine that includes the flavors of fresh ginger, plenty of onion and coconut. 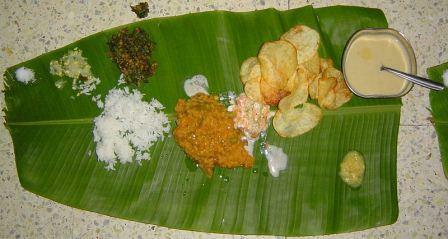 Those who love vegetarian food should try some of the dishes prepared in Tamil Nadu area. The spices used here are garam masala, fenugreek, fennel, coriander, cumin, black and green cardamom, black and yellow mustard, turmeric, saffron, nutmeg, tamarind, laurel or bay leaves, asafetida, fresh mint leaves, cilantro leaves, and curry leaves. The food of Kerala has a taste of its own where you can find nowhere else. They prepare a variety of spiced curries and dals, pancakes and steam cakes prepared from rice flour. South Indians are very particular in preparing pickles using fruits and vegetables that are also important part of the South Indian cuisine. The people of this place are inspired by the hot climate which helps them to prepare such as hot and spicy pickles that are food preservation. Pickles are served with meals in the afternoon and evening. Among the varieties of pickles made here, the mango pickle has become the favorite of many all over the world. South Indian cuisine includes a wide variety of dishes prepared in different areas. The different cultures followed by the South Indians can be experienced through its unique cuisine that has been developed over the centuries. 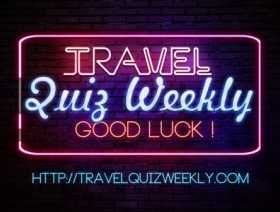 If you visit India be sure to taste some of the original cuisines and cooking of South India. Rajeev is studying Ayurveda and gemstone luck.